Liverpool have reportedly been told to part with a sum of around £50m in order to prise away James Tarkowski from Burnley this month. The Reds recently witnessed Dejan Lovren sustain an injury in the FA Cup exit to Wolves and this sees them with just one fit senior centre-back in Virgil van Dijk, given Joel Matip and Joe Gomez are already on the sidelines. 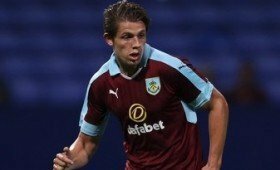 Amidst this, the Merseyside giants have recently been linked with an initial loan approach for Tarkowski, though The Mirror claims that the Clarets are unlikely to entertain such kind of a deal. It is added that Sean Dyche's side have set an asking price of around £50m for the England international and they are hoping that the figure will ward off any interest. Fabinho featured in the central defence during the recent Cup defeat at Wolves and the Brazilian could take up the same position for the visit of Brighton & Hove Albion this weekend.